Another day, another round of bundt alchemy. 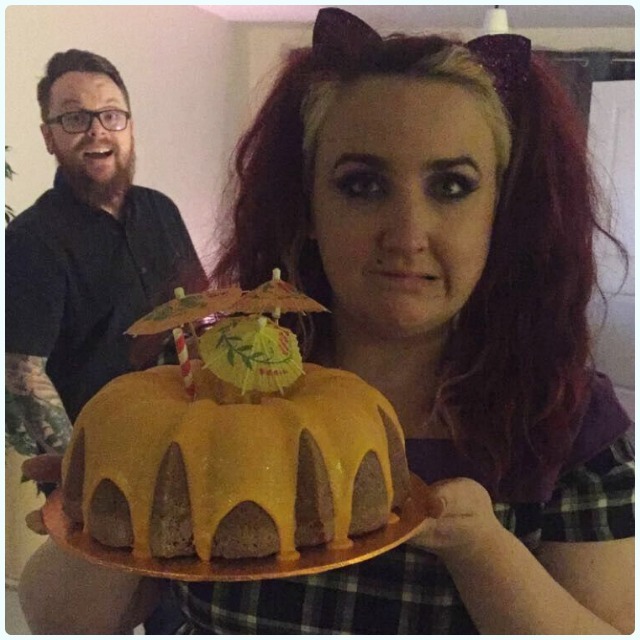 This time, my friend Vicki had challenged me to an Aperol Spritz cake, which meant all the orange! Of course, my creation was never going to be an understated number, not a chance. Look at Aperol though, it's bright orange and is generally served with fizz; this does not scream 'keep me conservative' in any way. I was plotting to bring out the big guns... coloured gel, glitter, and the naffest of cocktail umbrellas. The actual cake is Aperol flavoured, and the icing is made from a mixture of Aperol and Prosecco to give the cake that much needed 'Spritz'. I declared I was binning off the soda water element as it tastes like fizzy nothing. 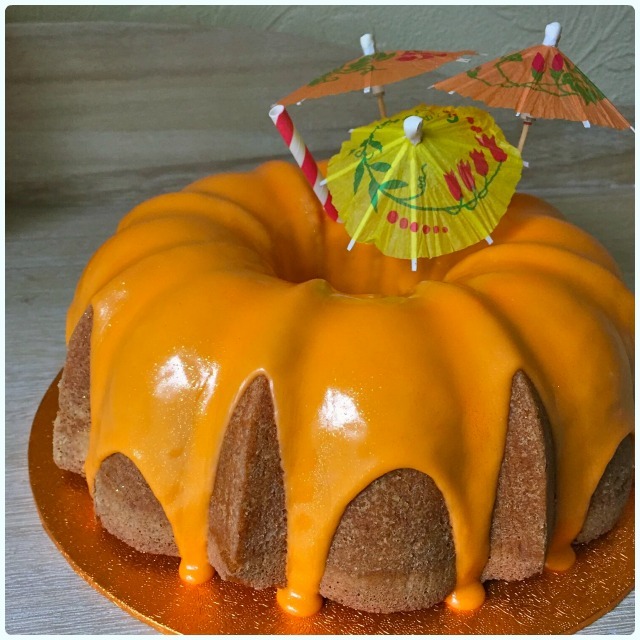 This cake is actually gluten free, but can be made as a standard bundt very easily (see the recipe variation below). I was hugely impressed with the Doves Farm gluten free flour. It made a beautifully light cake which released like a dream. Pour the yoghurt into a jug, and add the Aperol and orange zest and juice. When completely cool, mix the icing sugar with the Aperol, and enough Prosecco to make a thick yet runny icing. Add enough orange food gel to make your eyes burn. Decorate with baking glitter and the most garish cocktail decorations you can find. If you're thinking 'less is more', get outta town.